A 2018 custom payment plan is any assessment payment amount and/or payment schedule different than Option 1 or Option 2 and stays in effect through the end of 2018. 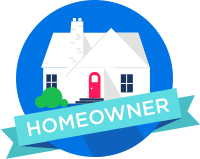 A custom payment plan can be requested by the homeowner when a temporary financial hardship situation arises. Payment terms must be approved by the Steeple Run Community Council (SRCC) president before taking effect. A small number of custom payment plans are approved when necessary. One of the benefits of the PayLease system is that a resident owner registers with their email and SRCC Lot number. So, any payment in PayLease is tied to that SRCC Lot#. With check payments, we see a little bit of everything including checks from Title companies with no reference to the resident property address or SRCC Lot#. Another positive thing with PayLease is that we have the resident owner email so that incorrect payment amount can easily be communicated and corrected. We have checks paid with all sorts of amounts that are different with many of them incorrect. All checks should include the SRCC Lot# the payment is for. that have moved with the wrong address on the check. Question - How do I find my SRCC Lot number? Your SRCC lot number is located in any version of the Steeple Run Community Directory tied to the property address in the last section of the directory. You can find the lot numbers here on the Steeple Run web site as well as have it available on the PayLease system. 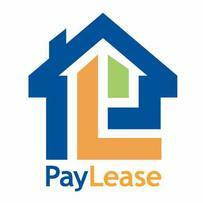 This service is provided by PayLease. No personal or banking information is shared or stored with Steeple Run. The PayLease electronic payment system that was introduced in 2016 will become the preferred SRCC assessment payment method since 2017. This electronic payment method reduces the potential mistakes in the assessment payment process associated with the handling checks or cash. In addition, any PayLease transaction from a U.S. checking account to SRCC will take place without a transaction fee. In other words, it will be free to use PayLease when paying from your checking account! A PayLease assessment payment made by Credit Card will continue to have the credit card transaction fee added above the assessment payment amount. The payment flexibility within PayLease does not change the payment requirements of our Assessment Schedule. Please look at our FAQ and Help tab should you have questions or issues on enrollment and​ allow up to two business days for your enrollment to be approved. Steeple Run has elected to review and approve all enrollments into PayLease. This approach is to insure that we are capturing our Steeple Run owners and that the required information regarding payments reflect the correct property's Lot Number. The registration approval process results in a delay in the use of the new enrollment. Please allow up to 48 hours before the account can be used for making assessment payments. Should an error occur or additional assistance is required for PayLease enrollment, please contact PayLease's customer support, (866) 729-5327.| option 1. or their Resident or Homeowner support page which also has a link to their PayLease Resident Knowledge Base & Contact Form. Your SRCC lot number is located in any version of the Steeple Run Community Directory tied to the property address in the last section of the directory. An online version can be found here. When the Lot Number is missing may unfortunately delay the posting of your payment. If the Lot Number is incorrect an unfortunate circumstance may occur that the payment may be applied to the wrong residence. Home Owner and Condominium Associations are allowed to impose reasonable fees that reflect the extra costs associated with various services. 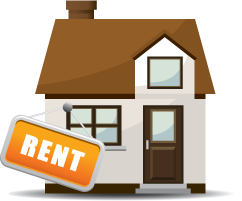 Regarding rental units, the addition fee is to cover our average annual administrative costs in processing and recognizing rental units. This includes and not limited to the annual delegation of community rights (using the common facilities), custom correspondence with the owner or their leasing agent as examples. When Steeple Run was built, a few homes in the Lot 7 area were built after the SRCC facilities were available and they did not pay for the Pool potion of the full SRCC assessment. However, if any of those non-pool resident owners ever decides to become a full participating resident over time, they will become a regular SRCC resident household going forward without the ability to become a non-pool unit again. Currently, SRCC is now down to two non-pool units and we will be sending a special payment communication out to them. Being a non-pool unit has nothing to do with a resident owner deciding one year they do not want to use the SRCC pool facility. All but two residents in the subdivision are required to pay the regular SRCC assessment amount. The Board is not responsible for the actual delivery of the notice only the mailing. Article VIII Section 9 states Notice of Assessments. Section 9. Notice of Assessments: It shall be the duty of the Board to send written notice of each assessment to either owner subject thereto. expressed in any such deed or other conveyance, shall be and is deemed to covenant and hereby agrees to pay the STEEPLE RUN COMMUNITY COUNCIL such assessments as are levied pursuant to this Declaration. Public Act 98-1042, which became effective Jan. 1 (2015), amends the Illinois Condominium Property Act and the Common Interest Community Association Act. 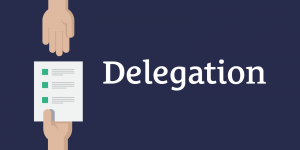 The new provisions grant associations the authority to send notices and information to owners via acceptable electronic means, as defined by the law. Condominium associations must first pass a rule or amend their governing documents to authorize electronic notices. Common interest communities do not. But both types of associations must get written consent and electronic addresses from owners who are willing to participate. They cannot require anyone to sign up. "Associations will have to provide notice in person or by mail at their expense to those who do not want to receive electronic notice," said association attorney Stuart Fullett, of Fullett Rosenlund Anderson in Lake Zurich. He cautioned that letters and documents concerning lawsuits, assessments, delinquencies and other legal matters should be delivered via postal mail as always.